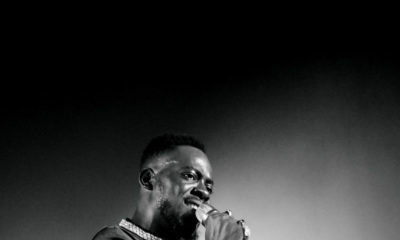 The Ake Festival is definitely not just about books and literary heavyweights – the musical concert the night before the opening ceremony is proof. On Wednesday night, the audience got a taste of high notes and musical storytelling from musician, Celeste. Accompanied by her guitar, we listened to three songs with the last proverbial tune centered on Opipi, a bird known to the Yorubas for its sparse feathers. 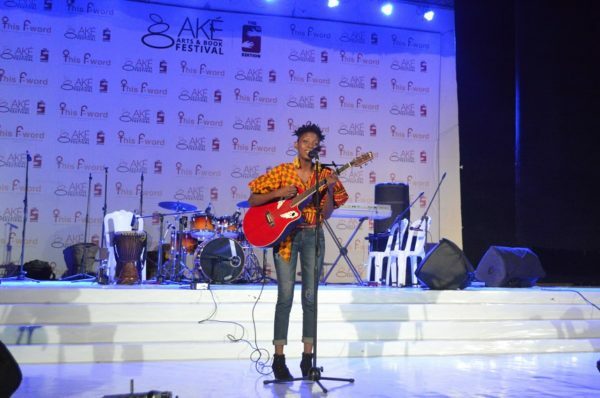 Joyce Olong was the second artiste of the night. With her petite frame and unassuming mannerism, we were taken unawares by the richness of her lyrics. Her first song was a conversation among three women, a mother, her daughter, and the mother’s sister. The song was a plea from the girl’s mother to bring home a man if his love drives her crazy. There were bits and pieces where the daughter now exasperated with her mother’s request asked her aunt to intervene. This was a home run with its familiar message. 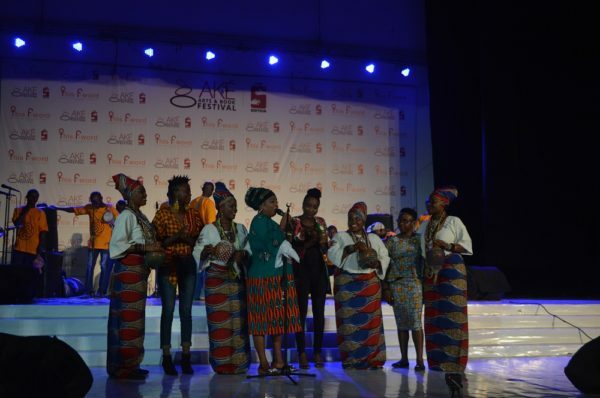 The all-female musical concert continued with Aramide belting out some superbly high notes with the song Eledumare. By her third song, Money, a spirited crowd eagerly joined Aramide in echoing the words, please better have my money, pay me what you owe me. 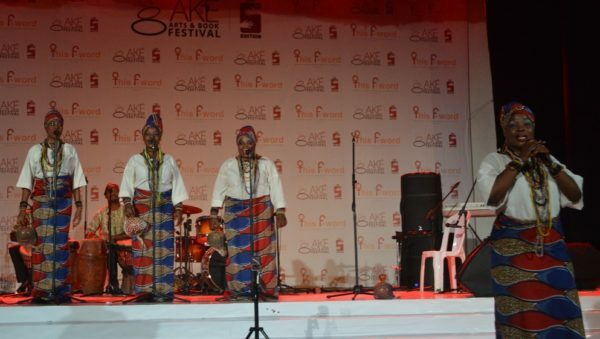 Returning for the second year in a row to the Ake Festival concert was Adunni and The Nefertiti. 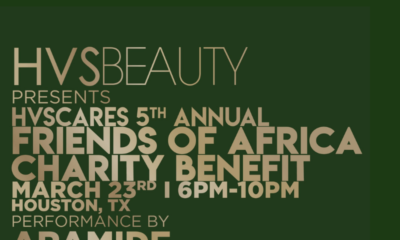 They serenaded the audience with songs from a diverse range of ethnicities and countries. 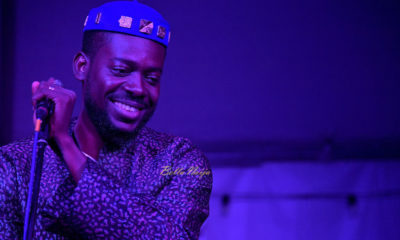 There was a medley of Yoruba, Hausa, Igbo, Urhobo, French, Arabic, Egun, and Twi songs all packed into one solid performance. Pockets of the audience who identified with the language of each song would go ecstatic with joy and dance along. However, nothing prepared us for the final performer of the night. 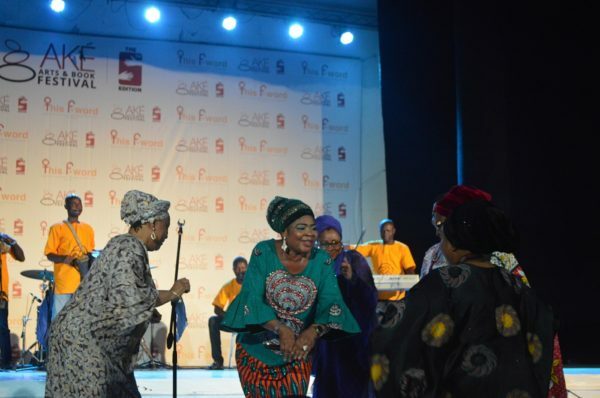 Salawa Abeni brought almost everyone on their feet and moving as she displayed what made her the Queen of Waka Music. She worked the crowds with ease from her dance steps to the mastery over her live band. 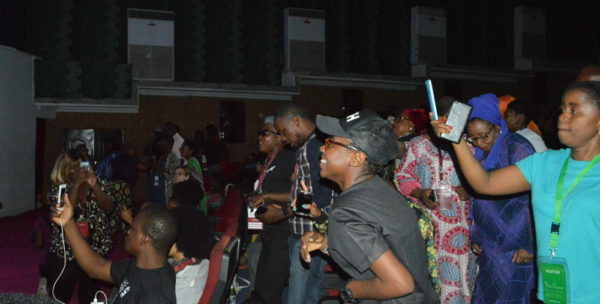 For more than an hour, the gyration carried on and guests from various countries shared in the fun. By curtain call, a standing ovation was given. 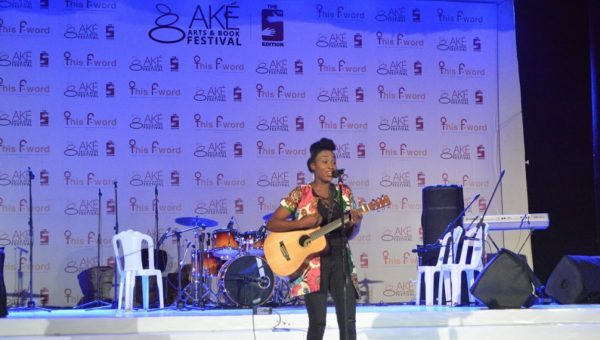 With the festival attendees now loosened up, it became apparent that this year’s Ake Festival centered on women and the work they create was now ready to begin.